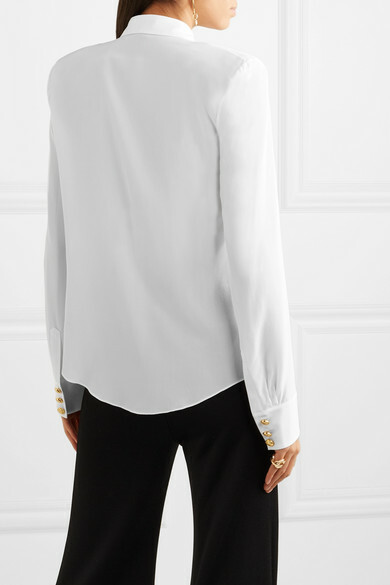 Much like Balmain's iconic blazers, this shirt is padded at the shoulders to create a 'power' silhouette. 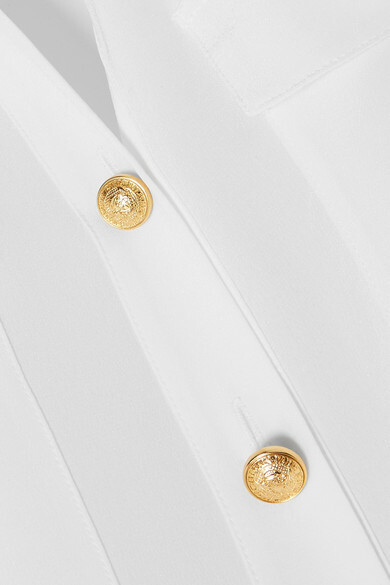 Made in Italy, it's cut for a slightly loose fit from lightweight white silk crepe de chine detailed with signature gold buttons. 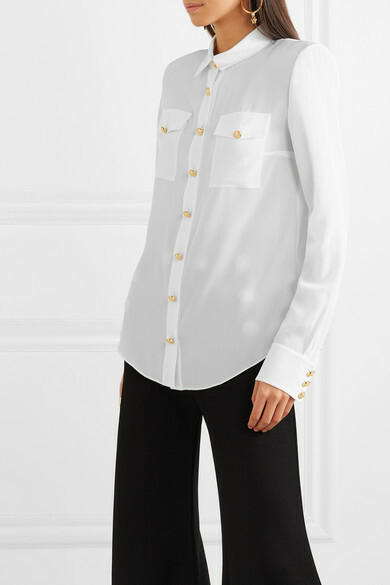 It'll look so chic buttoned all the way up. 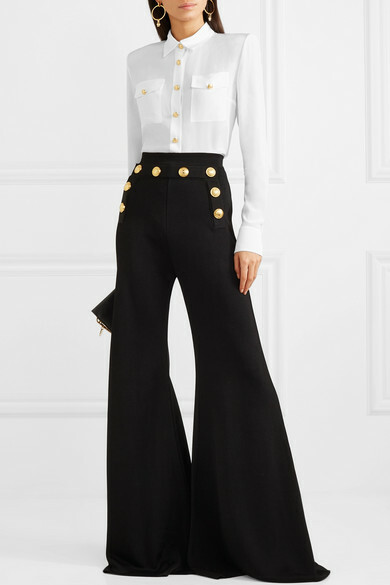 Shown here with: Balmain Pants, Balmain Blazer, Givenchy Shoulder bag, Christian Louboutin Pumps, Jennifer Fisher Ring, Jennifer Fisher Ring, Versace Earrings.